Showing Products 1 to 21 of 21 Products. 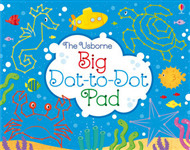 An oversized activity pad with tear-off pages, each featuring an elaborate dot-to-dot puzzle. It suitable for sharing amongst children at parties or mealtimes. 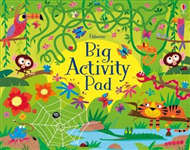 An entertaining activity pad jam-packed with simple word, number and picture puzzles for little children to enjoy while developing vital skills in reading, writing, counting and observation. 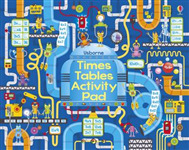 Activities include mazes, puzzles, word searches, spot the differences and more. Answers for the puzzles are included at the back of the book. 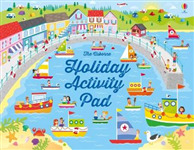 Keep little ones busy on holiday with this entertaining activity pad, packed with nearly 100 holiday-themed puzzles, dot-to-dots, wordsearches, spot-the-differences and more. The fun activities will help children develop vital reading, writing, counting and observation skills, and all the answers are included at the back of the book. Over 2,000 colourful mosaic stickers to create intricate pictures of famous London landmarks, from Covent Garden to Westminster Abbey. The laminated pages have gridlines to help children position the stickers and templates to follow. With a fold-out cover where children can 'park' stickers while they're not using them. 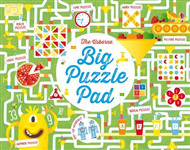 This oversized, write-in, tear-off pad is packed full of brain-bending puzzles, including crosswords, sudoku, wordsearches, riddles, codebreakers, dot-to-dot, odd one out, memory games, spot-the-difference, and lots more.